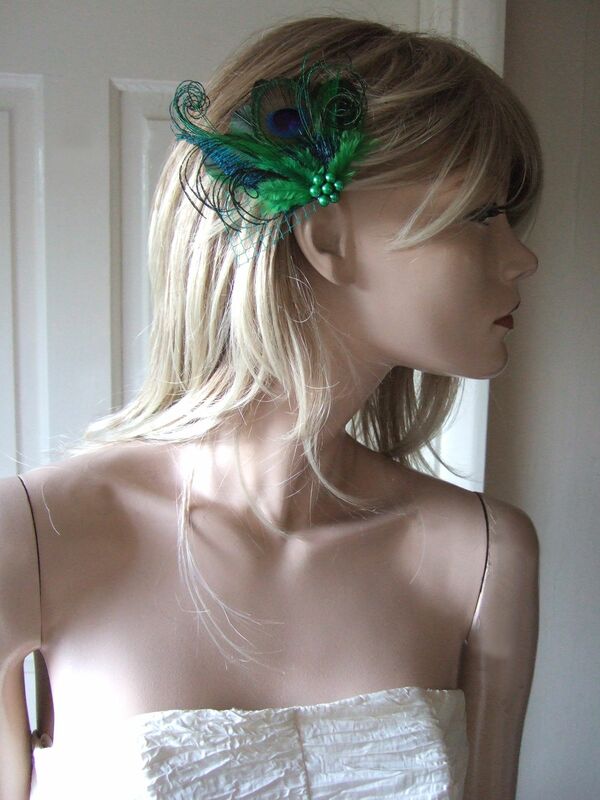 Beautiful Hand Made Fascinator called "Avril", for Bridal wear, weddings or Proms, made to order in the UK, in 2 Working Days. 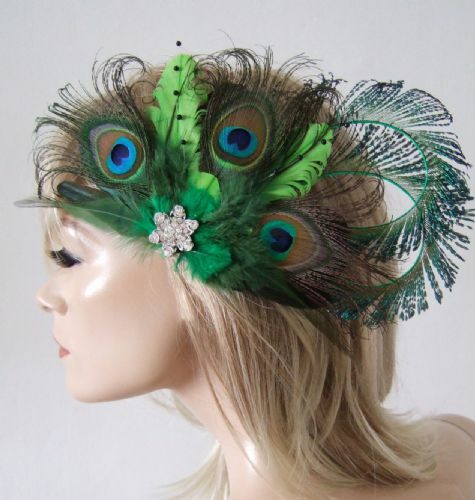 In tones of Deep and Emerald Greens from the Peacock, with One Peacock Eye Feather and One Curled Peacock Sword Feathers, with lots of additional curled Hurl. 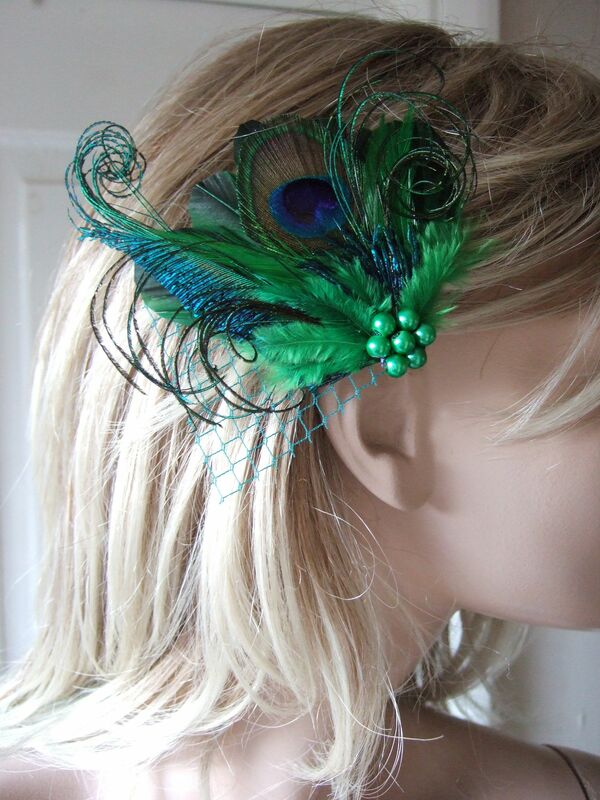 Then soft Hen Hackle feathers in Greens fanned around cluster of clover green beads. 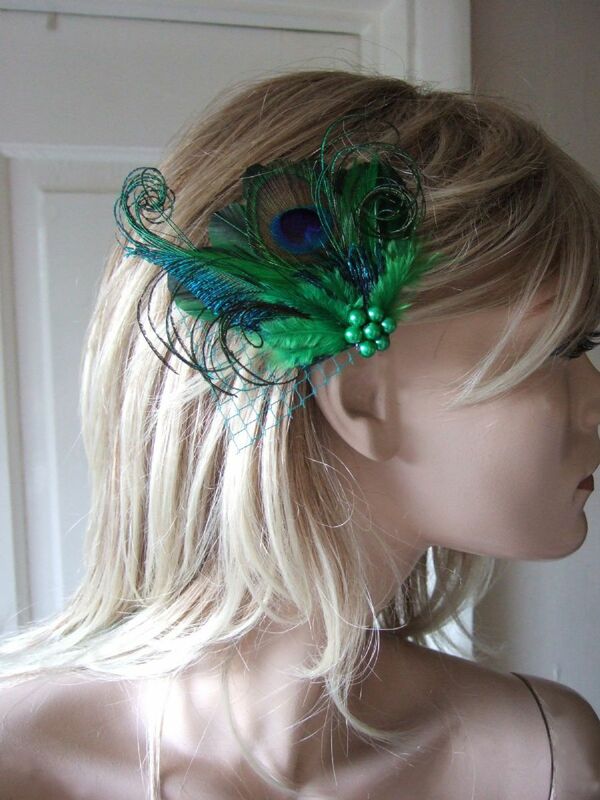 The back of the arrangement is a bed of Trimmed Dark Green Badger Coque Feathers, and a Triangle of Kelly Green Millinery Veiling. 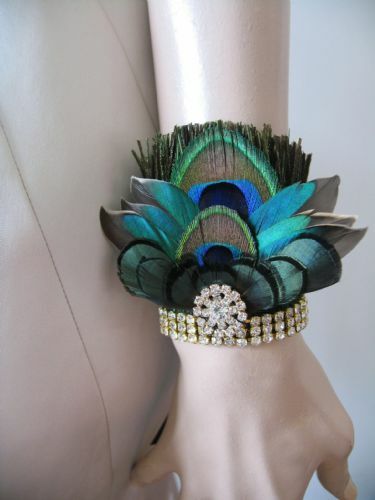 You could also clip onto a Bag as a Bag Clip to dress up a day bag for evening wear. 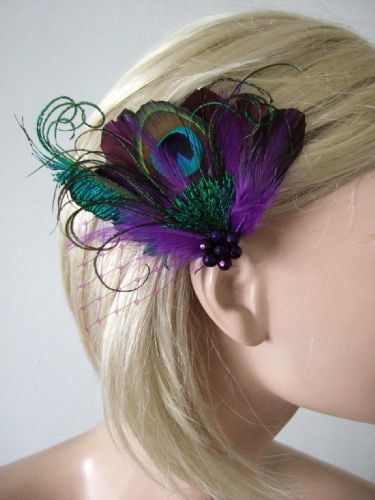 The Fascinator comes on a 4.5cm Croc Clip on the underside. 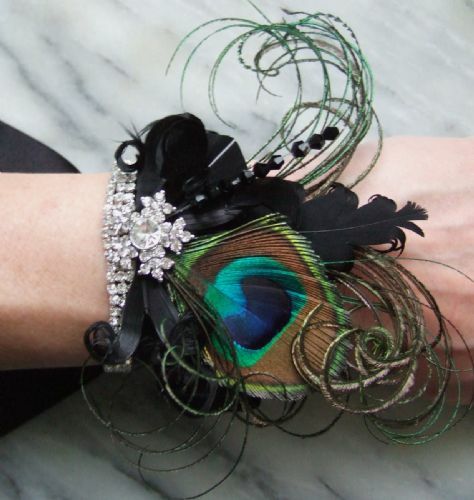 It is designed to be worn on the right hand side of head. The Clip Measures approx 12cm width x 10.5cm Height. 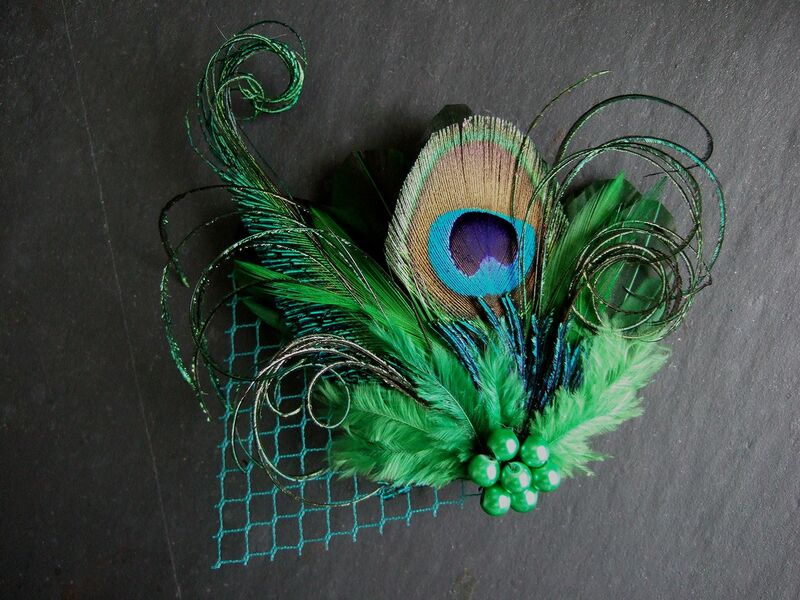 Please note Fascinators are hand made to order here in the UK, so please allow 2 working days before item is ready to be dispatched. 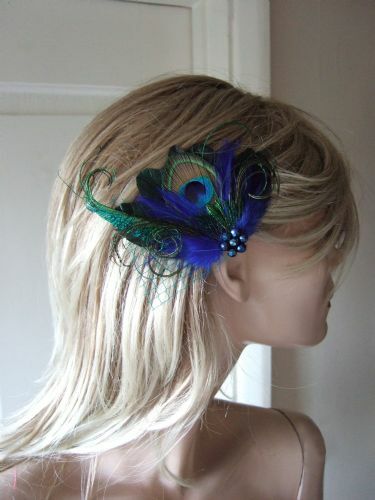 Royal Navy Blue Emerald Green Peacock Feathers Fascinator Hair Clip "Avril"
Ultra Violet Purple Green Peacock Feathers Fascinator Hair Clip "Avril"